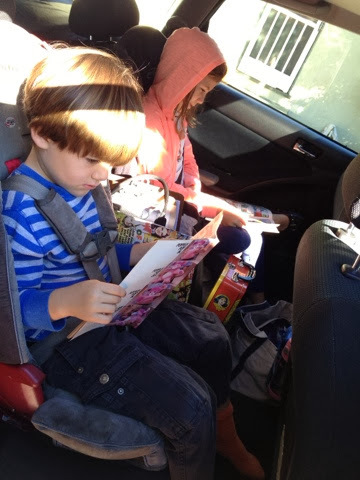 The kids were so pumped for their car ride to see family that they climbed into position and started reading well before I had the car packed. We made slow progress thanks to a huge tractor trailer wreck. 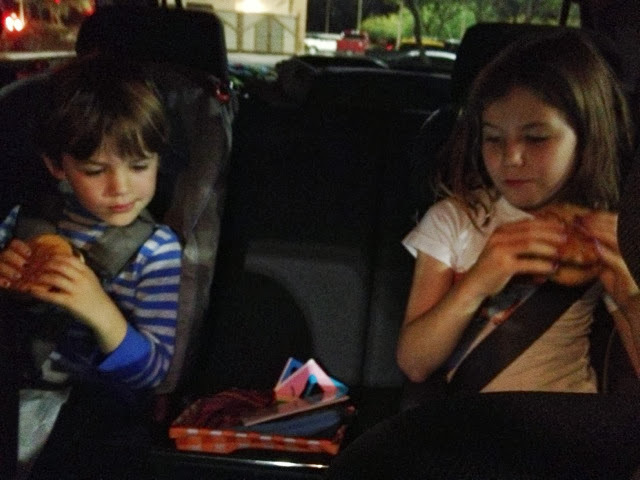 It ended up adding almost 2 extra hours to our drive, but the kids were troopers. 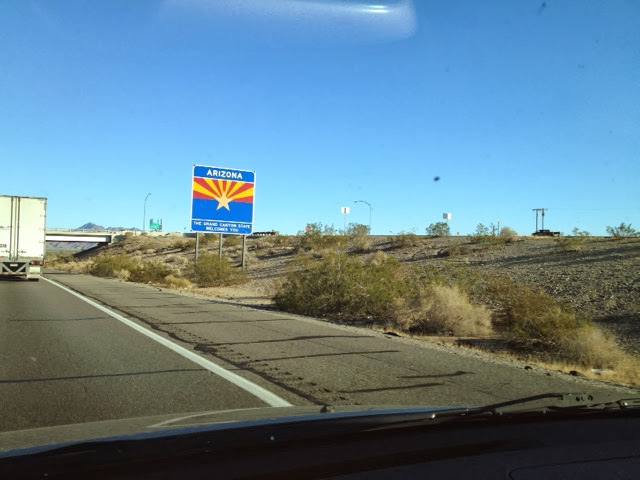 We stopped for long before the CA-AZ border and got crowned. 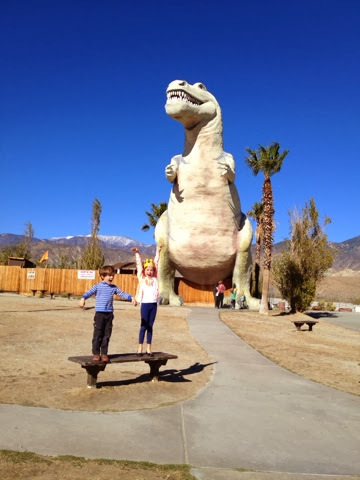 Always happy for an excuse to visit the giant dinos! 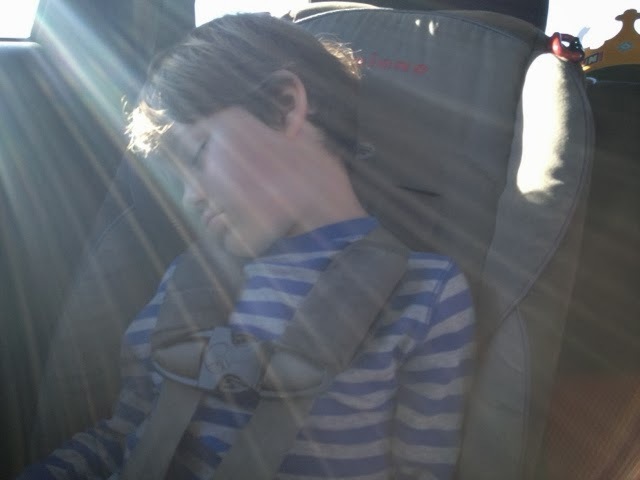 Porter passed some hours charging up. 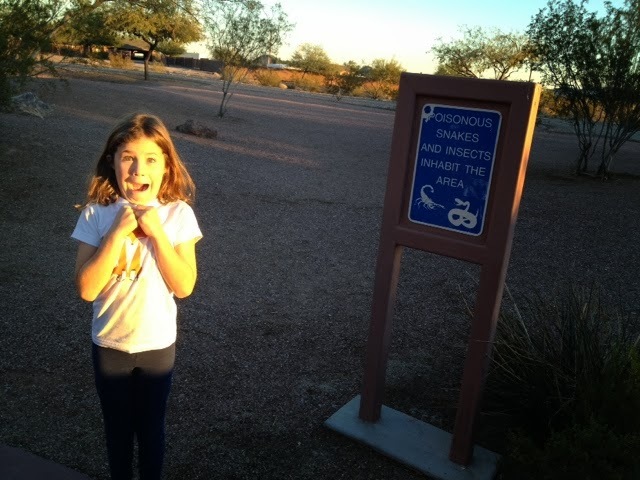 At a rest stop the kids were planning to go run and burn some energy up until they saw this sign! 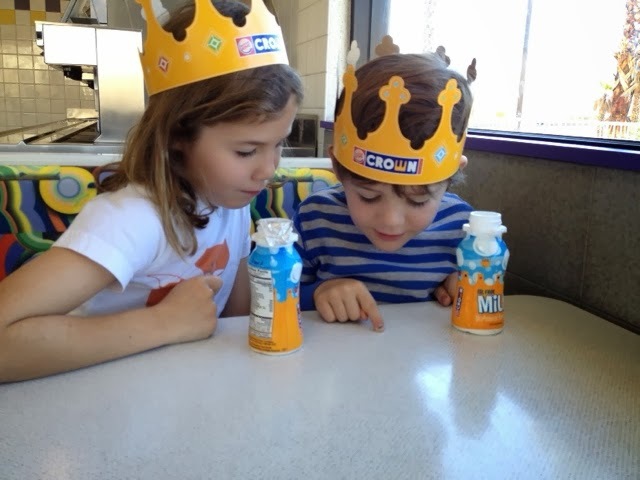 One more fast food meal and a video pacified everyone to endure the last hour. Stay tuned for tales of Tucson, turkey, and possibly Tombstone. I'm a Trail Half Marathon Finisher!! A Shurkey or a Teep? Wake Me Up Before You Glo-Go! Creative Uses for all that Candy! Whatcha Gonna Do When They Come For You?